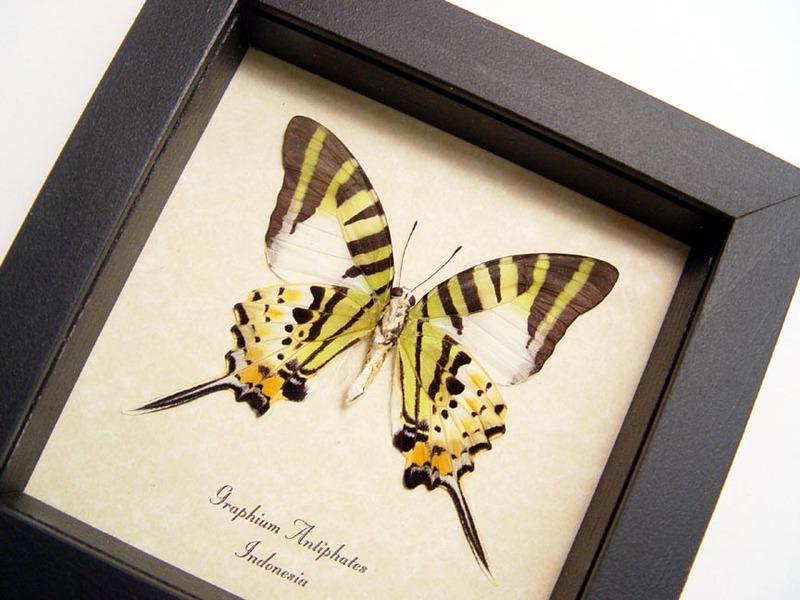 Description: These beautiful butterflies are known as the common archduke and can be found in the Indonesia. 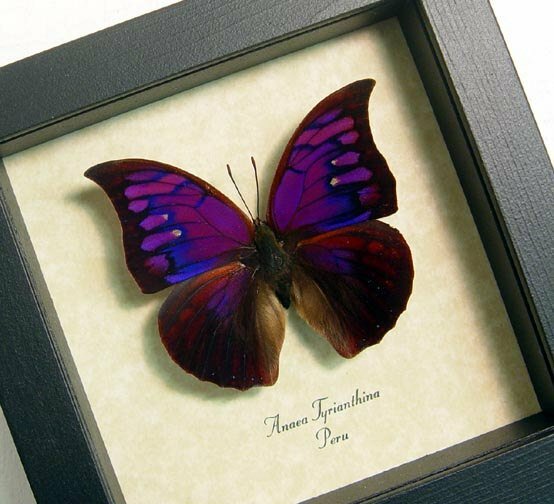 The front side has beautiful lavender and aqua blue wings while the verso side is orange with tan markings. 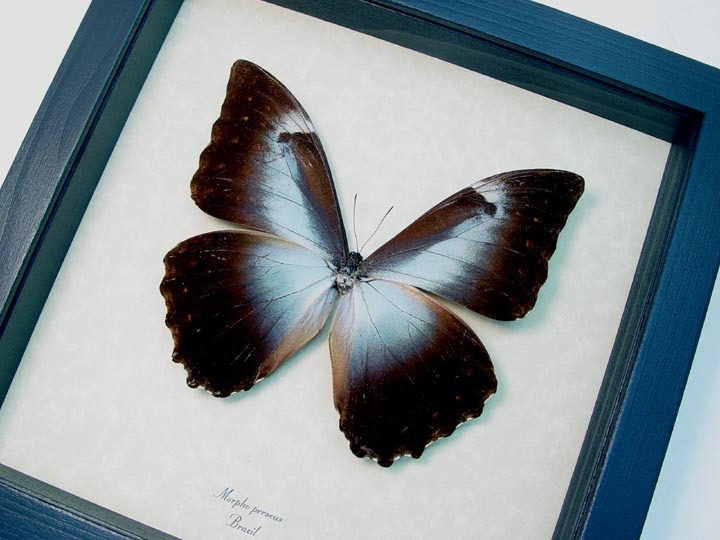 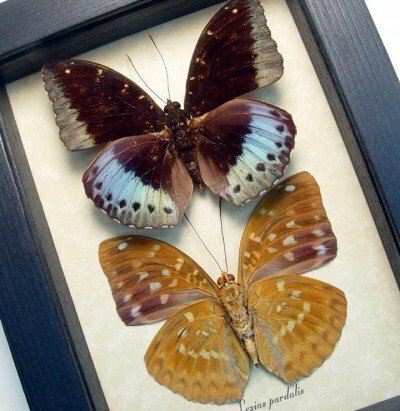 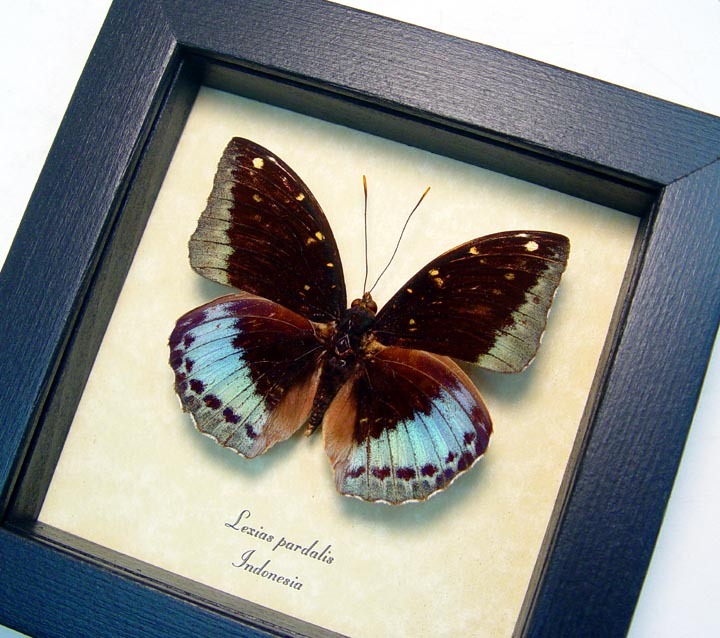 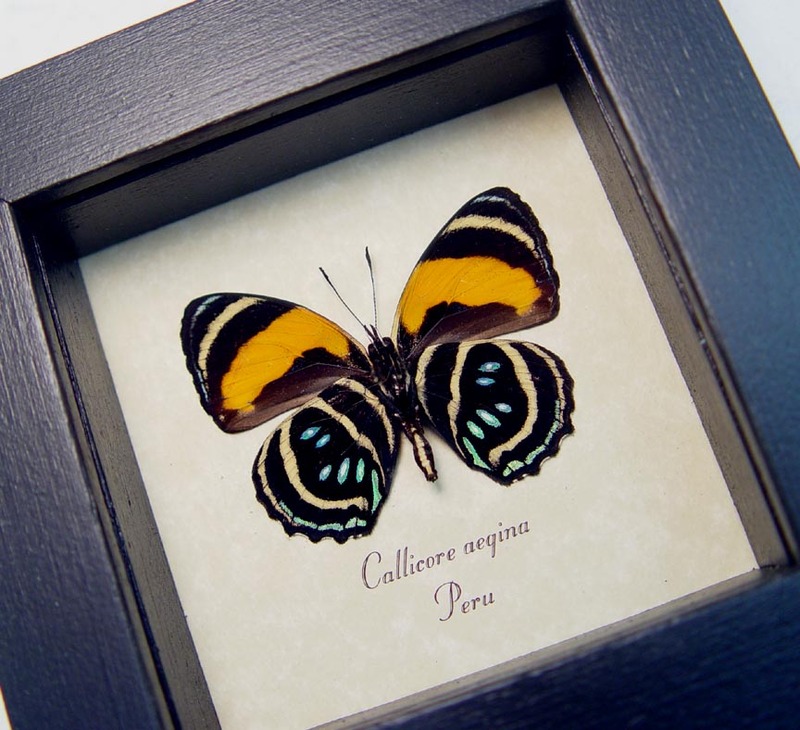 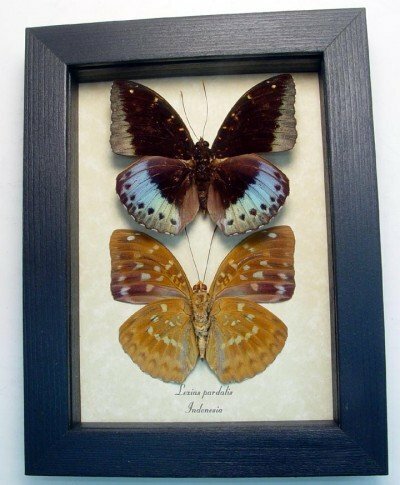 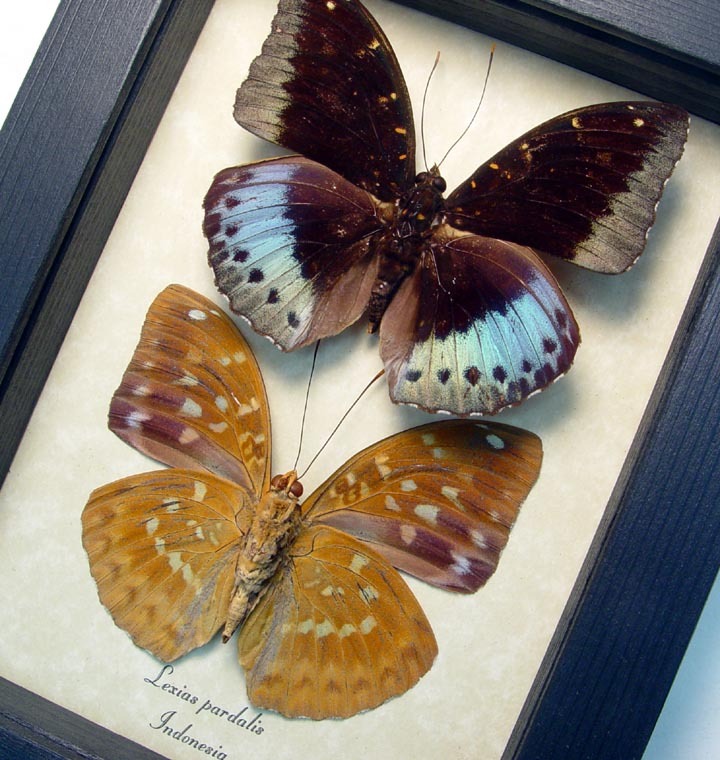 This amazing butterfly is mounted forward and verso to show both sides of this striking butterfly.